On Friday I showed you the quilt I made for my husband's colleague. I finished the matching pillow last night during Downton Abbey. So the deal with this pillow is that the woman who is having the baby is the office cupcake maker. Every office has one - the person who loves to bake and is always bringing in treats and such. Anyways, for the past year she has been baking and keeping my husband all sugared up while he's at work. 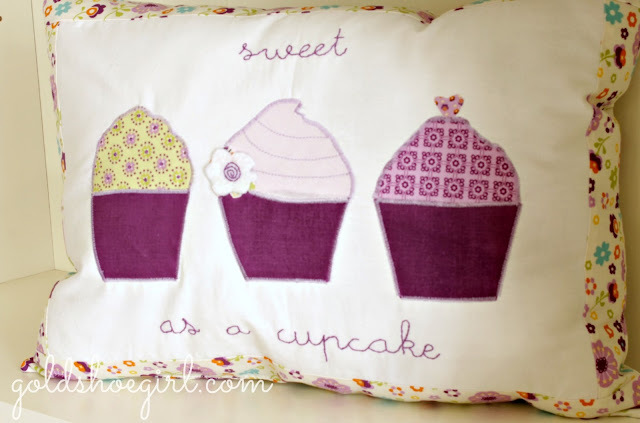 So I thought a cupcake themed pillow for her baby was the obvious choice. 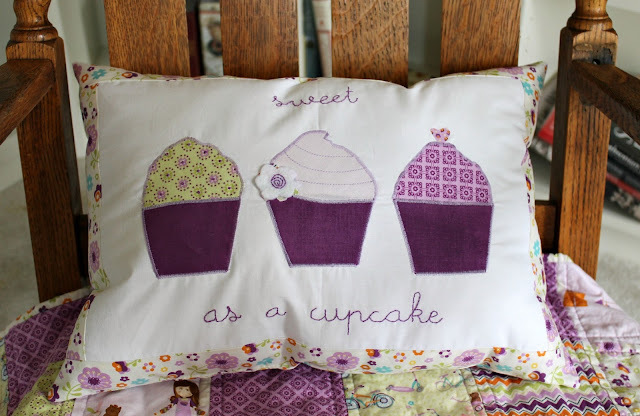 I appliqued the cupcakes then did a tight zigzag stitch around the outside edges. 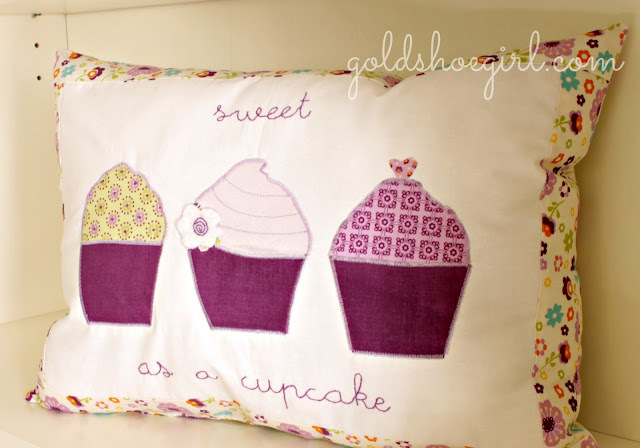 The "sweet as a cupcake" is hand embroidered using 2 strands of purple floss. Then I did the front border and back in the same floral as the quilt. 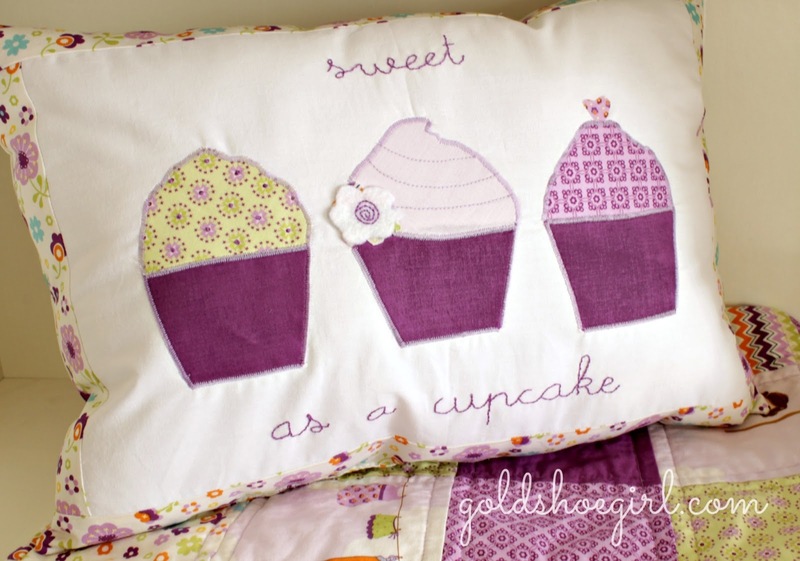 There are some french knots on the left cupcake - they're trying to pretend they are sprinkles. Then I added the little felt flower to the center cupcake while the right cupcake just has a simple heart topper. It turned out really nice and is off to work tomorrow. Now I have to decide what to work on next. I really should paint the trim in the bathroom but I may procrastinate on that for another few days because my vanity light is on backorder - ugh - very frustrating. 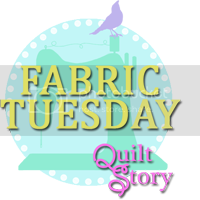 I kinda have an itch to try a triangle quilt so we'll see what happens.